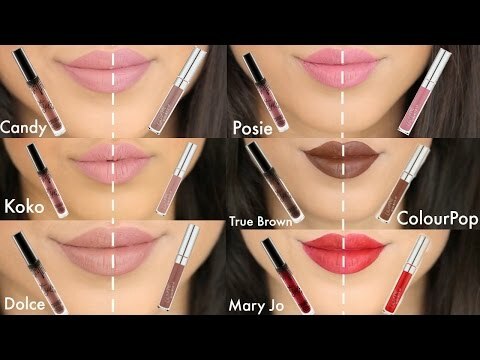 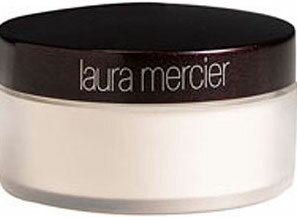 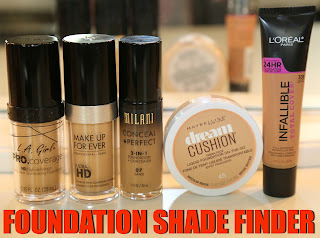 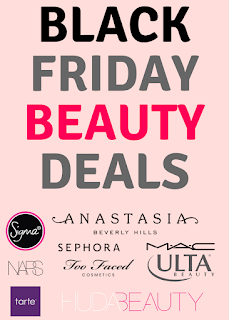 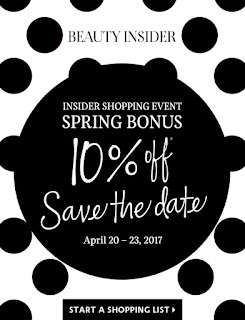 Sephora Spring Sale is almost here! 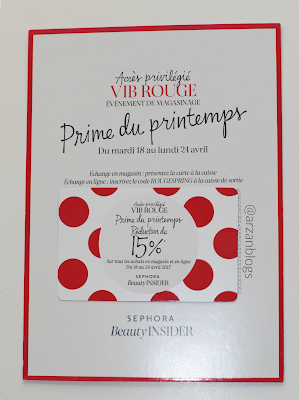 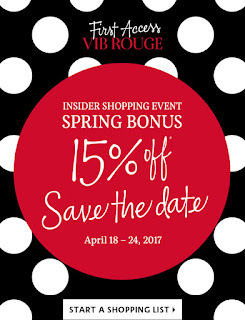 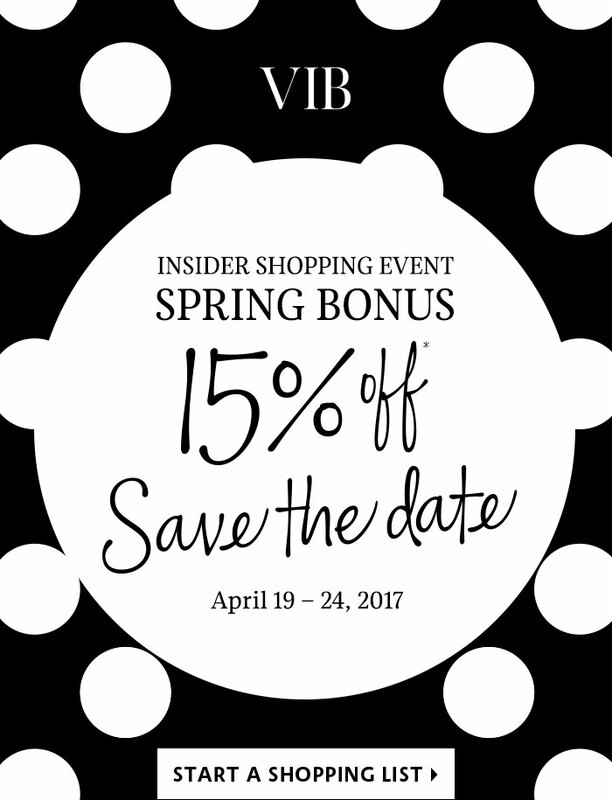 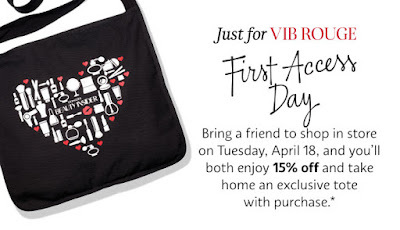 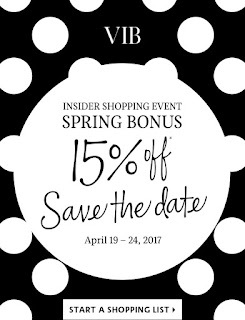 Shopping Event: On April 18th, VIB Rouge members can bring a friend (must be beauty insider) and he/she will also get 15% off and get a tote. 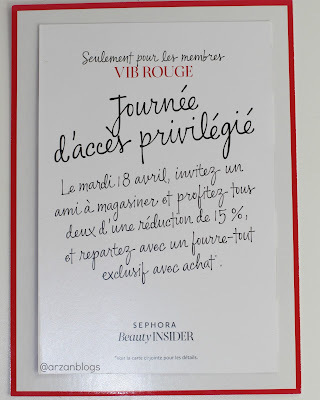 I received my card in mail today and it's in French since I live in Montreal, Canada.